Thank you for submitting this request, it has been received as service request #18999. There are no street lights on this very dark and busy street. How can I request for street lights to be put in to help deter crime and improve safety and visibility around beacon ave s and 107th st s? It appears that Seattle City light was changing out some of the power poles in that area. There is a light at the location that you referenced but I will have them check if all of existing lights were reinstalled and are not missing. I appreciate the response and the issues assignment. 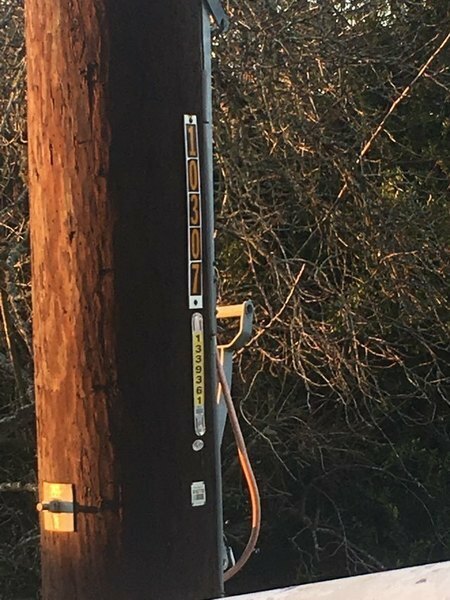 As a more specific indicator, I have taken a photo of one of several poles that could use street lights so it can be tracked it by its number. Thank you for submitting this request, it has been received as service request #18998. Sidewalk fix not resolved, sidewalk is broken and missing a chunk. Absolutely a trippier hazard. Thank you for submitting this request. It has been received as service request #1822 and has been referred to our Public Works Department. This is an automated response. Please note: Emergencies should always be reported to 911 immediately. Thank you for submitting this request. It has been received as service request #1821 and has been referred to our Public Works Department. This is an automated response. Please note: Emergencies should always be reported to 911 immediately. Thank you for submitting this request, it has been received as service request #18997.